Thread: MLMers Treated as Employee or Independent Contractor?? Bernard Madoff pleaded guilty in 2009 to 11 counts relating to the largest Ponzi scheme in history. New York (CNN) -- Two former employees of disgraced financier Bernard Madoff have been arrested by the FBI in relation to his massive Ponzi scheme, according to FBI spokesman Jim Margolin. Joann Crupi was arrested overnight in New Jersey and Annette Bongiorno was taken into custody in Florida. Charges against the two will be announced later Thursday. Madoff pleaded guilty in 2009 to 11 counts related to running the largest Ponzi scheme in history and was sentenced to 150 years in prison. The arrests are just the latest in a series since Madoff's fraud collapsed in 2008. To date, two former executives, two computer programmers, and an accountant of Madoff's have faced charges. Frank DiPascali, Madoff's former finance chief, pleaded guilty to fraud charges in 2009. The government had previously filed civil complaints against Bongiorno and Crupi, both longtime Madoff employees who worked as supervisors of his "back office" staff, seeking the forfeiture of millions of dollars worth of assets, including homes and luxury cars, that they allegedly received while involved in Madoff's scheme. 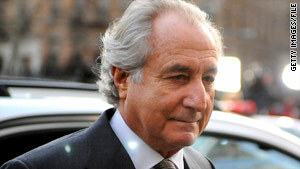 Madoff's employees are being arrested for their participation in this scandal. Will the courts treat MLM heavy hitters as being protected by the corporate veil for their shenanigans or will they be treated as independant contrators and held responsible as individuals or alternatively can they be classified as both in criminal and civil proceedings? This is playing out in courts and is a fascinating debate. re: MLMers Treated as Employee or Independent Contractor?? As some of you may recall I was sued for my blogging and easily trounced the plaintiff in Summary Judgment. I would have loved to have made it to trial and had the opportunity to be part of making case law that would give bloggers more protection in Texas. I am still anxious to make case law related to MLM and I think this issue of employee vs. independent is an issue that needs to be explored further. I want to see every top of the pyramid promoter held fully accountable for the harm they cause.